Monday is officially Cesar Chavez Day, which is typically celebrated as a day of service, in honor of Chavez's work as a labor and civil rights leader. 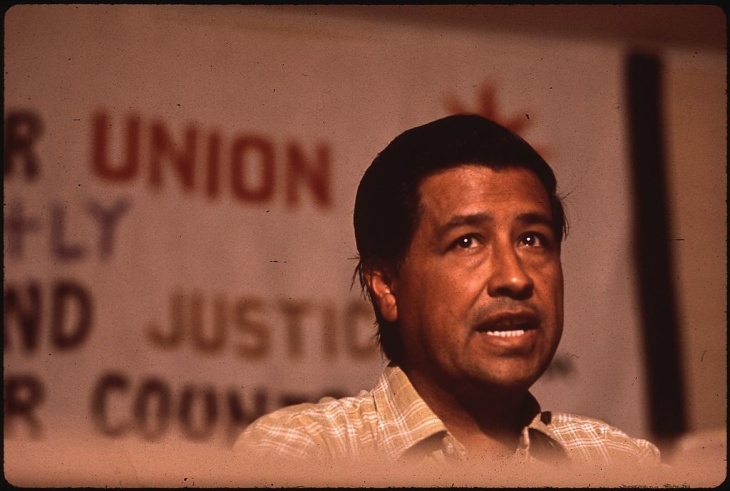 Cesar Chavez, who died in 1993, organized farm workers to unionize for better pay and working conditions. He came to symbolize Latino empowerment across the U.S.
His son, Paul Chavez, who is now president of the Cesar Chavez Foundation, recalled a family conversation years ago, when California was first moving to establish a holiday to remember his late father's work. "I remember we were having dinner, I was talking to my mom about it, and she thought maybe it should be a day where kids learn about him," Chavez said. "But then also, that they go out and they do work in their communities to help others." The idea of a day of service made perfect sense to the family. "The idea of service was a central part of my father's life and work," Chavez said. "He really committed himself to being of service to those in need." Groups around Southern California are planning some upcoming service activities in his honor. Mujeres de la Tierra, Mountains Recreation and Conservation Authority, Anahuak and L.A. Works are organizing a painting, planting and weeding project to beautify the L.A. River Center and Gardens in Cypress Park. The all-ages project is free. Click here to register. The New Beginnings Community Garden in Southeast Los Angeles is holding a garden cleanup. Volunteers will be cleaning, weeding, repairing garden boxes and doing other garden work. Comfortable shoes recommended. Free, all ages. Click here to register. L.A. Works is organizing a mural painting project at Roosevelt High School in East Los Angeles, for seniors 55 and over. Comfortable attire for painting recommended. Click here to register. WEDNESDAY, APRIL 3; 10 a.m. - 2 p.m.
Cal State Northridge will hold its 10th annual Cesar Chavez Service Fair on the Campus Store Lawn, where students, faculty and staff can connect with local nonprofit organizations. Free food and live mariachi music, too. More information here.